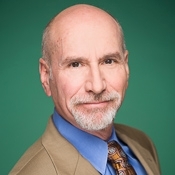 Ronald N. Primack, an established entrepreneurial attorney, recently joined Chuhak & Tecson, P.C. in an Of Counsel position. With a client list that includes Fortune 500 corporations and multinational conglomerates, Primack successfully operated his own law firm in Tinley Park for nearly 30 years. As a Chuhak & Tecson attorney, he now serves clients from two locations—both Chicago and Tinley Park. Primack’s expansive practice is built largely on representing individuals, business owners and financial institutions in banking, business law, real estate transactions, and commercial and civil litigation in both state and federal court. Joining Chuhak & Tecson allows him to maintain his commitment to excellent client service through the increased efficiency, expanded technology and other amenities inherent in a larger firm. “Aligning with Chuhak & Tecson provides greater resources both for me and for my clients,” Primack said. Mark Broaddus, a Principal at Chuhak & Tecson, has enjoyed a longstanding professional relationship with Primack, both as co-counsel and as an opponent. “Ron has a very diversified and sophisticated general practice,” Broaddus said. “He’s an experienced entrepreneur who has built his practice from the ground up. His emphasis on client services is a perfect match with Chuhak & Tecson's "Right there with you" commitment to our clients. “Joining Chuhak gives Ron the opportunity to expand and grow his existing business relationships and serve his clients in a way that is still competitively priced,” Broaddus said. A law school graduate of DePaul University, Primack forged a sturdy work ethic in the steel mills and construction sites of Gary, Ind., where he worked long enough to realize his ambitions lay elsewhere. The jobs he held there continue to inform his career today. As a litigator, Primack represents clients in a diverse array of commercial and civil cases, including construction matters as well as business and consumer litigation; breaches of contract; shareholder disputes; insurance claims; property damage; property rights; probate and others. Two cases he won on appeal in the Illinois First District produced published decisions. Primack also handles transactional matters related to banking, business, real estate, estate planning, probate and municipal law. He has considerable experience helping clients start their own businesses, giving counsel on business entity formation, potential liability, tax structures, insurance coverage, employment matters, succession strategies and corporate compliance issues. His extensive municipal experience includes significant work for the Village of Lansing and an area park district, which he represented for more than 25 years.